Invest in Finnish edutech business with SkillzzUp! 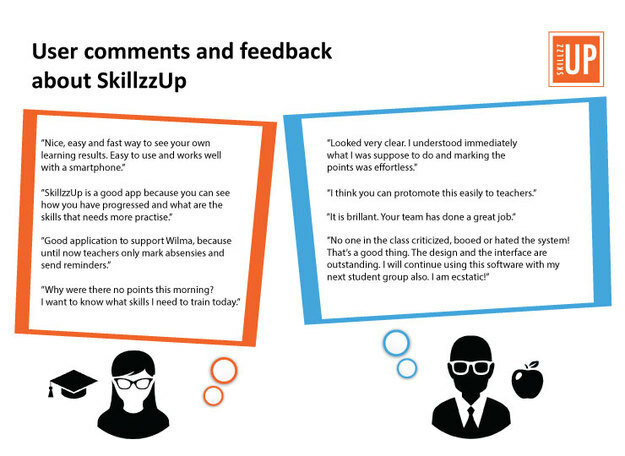 SkilzzUp is a quick and easy real time skill assessment and feedback tool for teachers and students. It's designed to help students to learn better, discover their unique potential and graduate on time. Individual learning and feedback have become a global megatrend both in education and work life. At the same the money spend in education and self-development is bigger than ever. SkillzzUp is the first application for supporting and assessing individual development made in Finland. 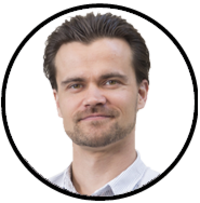 Kimmo, the founder and CEO of SkillzzUp, has worked as a teacher for more than 13 years. He, among other innovative pedagogues and researchers worldwide, has noticed that many young students and pupils are unmotivated by the traditional theoretical lessons, exercises and exams provided by teachers today. Offering the same content to all at the same pace is frustrating to the advanced students as well as to the ones who need more support. Also the gaming industry has successfully taught our new generation to see instant results. Kimmo wanted to teach his students in more personalized way and pace. As he couldn’t find any existing tool or solution on the edutech-market to solve this common problem, he decided to create one of his own. This is how he came up with the idea of our brand new learning application – the SkillzzUp! How SkillzzUp works and why it is so effective? 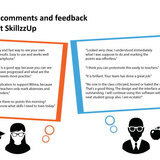 SkillzzUp is the first quick and easy tool for individual feedback and real time skill assessment. It is designed to help students to learn individually, recognize and develop their unique potential and graduate on time. SkillzzUp is fully responsive and can be used with any computer or mobile device. With SkillzzUp students can set their personal learning goals, receive ongoing individual feedback from their teacher and see how their different skills develop with a single glance. Constant feedback keeps student’s motivation up, encourages reaching long-term learning goals and helps them to connect daily efforts into tangible results. By using SkillzzUp teachers learn to know their students on a deeper level and allows them to give personal feedback with only a couple of clicks even when teaching a big group. Now it is also possible to easily assess different work life skills, such as creativity, problem solving and teamwork skills, demanded by the new curriculums. Especially when teaching young children or students learning new skills acquires close collaboration and open communication between the teachers, school and parents. SkillzzUp provides all parties the same constant information about the student’s learning progress. If the student is in risk of falling behind in some skill, it is recognized immediately - not after weeks or months like now. Teachers and parents can give extra support instantly and learning gets quickly back on track making it possible for student to graduate on time. SkillzzUp is created in collaboration with teachers, students and experienced software developers. It scales up globally, works with every curriculum and can be used on any level of education from kindergarten to universities. Why SkillzzUp is essential right now? SkillzzUp hits the market just on time. Finland, among other forerunner countries in the world, has finally taken the decisive step towards more personalized way and pace of learning. The new educational laws and curriculums that came into effect in August 2015 require individual learning, motivation and constant feedback. The Immediate feedback is crucial as the time span of young students is extremely short proven by the latest motivation and brain research. They show that young people can’t connect the consequences of their actions to the rewards in the far future because of the under developed frontal lobe. The main problem at the grass-root level is that teachers simply don’t have the time or recourses to pay enough attention or to give feedback to individual students. In the worst case the only feedback students receive about their performance is the final grade at the end of the course given after weeks or even months. The lack of constant individual feedback drops motivation and increases the risk of falling behind or even dropping out. 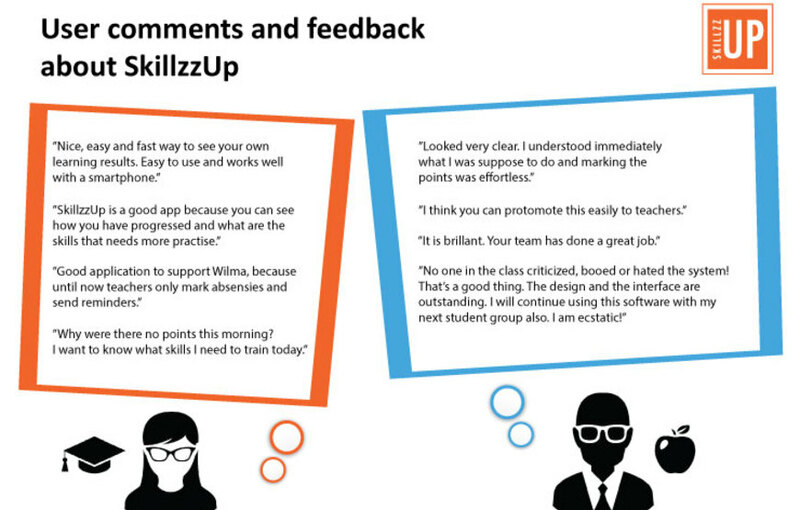 With SkillzzUp the rewarding feedback is instant and leaves teachers and students more time to do what they enjoy — teach & learn! SkillzzUp helps to understand learning on a deeper level. Unlike other content orientated applications, such as learning games and on-line courses, the assessment of SkillzzUp doesn’t rely only on theoretical tasks or exercises. Instead it’s based on the teacher’s professional observation and student’s constant performance on different learning situations. Thanks to the informative user interface and visual design student’s individual strengths, progress and challenges are easy to detect. This way the teacher can personalize teaching methods and tasks individually to help the students to succeed in their own level and pace. For the first time teacher can also easily assess the essential work life skills, such as creativity, problem solving and teamwork skills, that can’t be assessed or measured with traditional tools and methods. SkillzzUp Oy was officially born in November 2014 and the first prototype was presented in Slush 2014. In December we started to test our prototype with 5 teachers and more than 200 students. At the end of the 6 month testing period our test users were satisfied with the learning results achieved with SkillzzUp. They also provided us with valuable suggestions for improvements for the further product development. In addition to the test users Kimmo has personally interviewed more than 100 educational and financial experts from 5 different countries. They have shared us their expertise, solid insight and support to develop and commercialize SkillzzUp. By the end of July 2015 we completed our first commercial product in co-operation with an experienced software development company Leonidas Ltd. Right after we started the sales and marketing efforts with a promising hit rate. So far all targeted schools have became clients and new negotiations are increasingly taking place. Now we are focusing on gaining market share and steady revenue stream in Finland. SkillzzUp is available in Finnish and English languages. 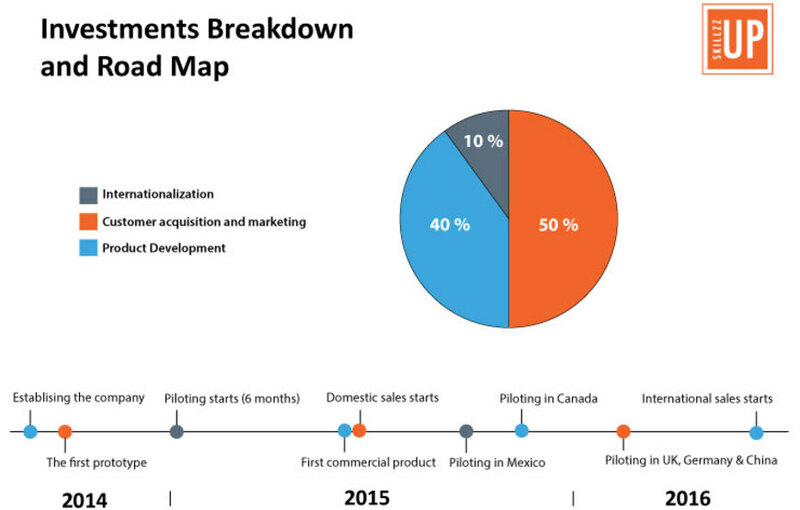 The international piloting will start early fall in 2015 first in Mexico and then in Canada. By the end of the year we are working on to start the testing also in Germany, UK and China. SkillzzUp has also been invited to an education export network organized by the University of Helsinki in aim to start collaborate with the Chinese schools and authorities. Until now the product development has been funded by the founders’ investments and personal efforts plus a small grant from the Centre of Economic Development, Transport and the Environment (ELY-Centre). The pricing is based on a monthly license fee per student. 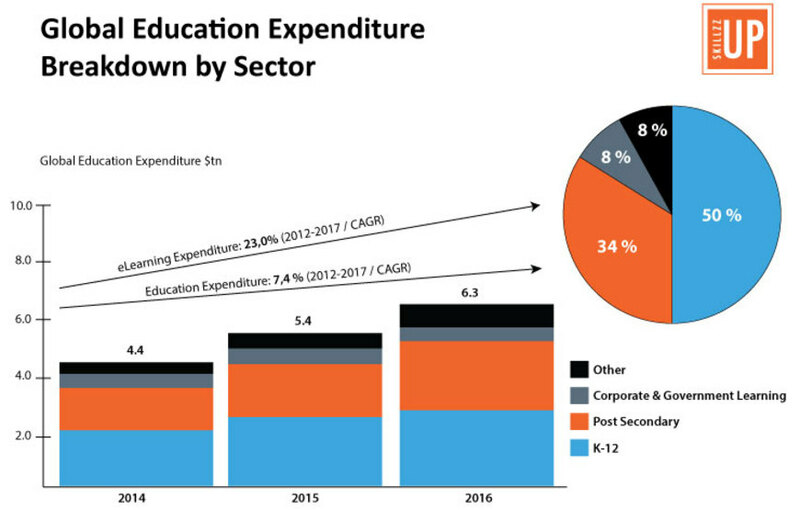 Global education market reaches $5.4 trillion — and is growing! Globally the educational sector is simply huge with 5.4 Trillion dollars ($ 5 400 000 000 000). It's even bigger than the software, entertainment and media business combined. Despite the economical situation the governments in many countries are still making big investments on education such as our potential future market Mexico (OECD Economic Surveys: Mexico 2015) and Canada. In many countries students, parents and employers pay high tuitions and form the majority of educational funding. There’s also a big rivalry for the best learning results between the private educational institutions in aim to draw in the best students. This private investment in education is a big potential market for SkillzzUp, as the private people and companies want to make sure that themselves, their offspring or their employees are constantly developing and graduating on time - in exchange for the high tuitions. SkillzzUp provides them one great way to provide more personal support to their students and gain advantage from the other schools in a cost-effective way. SkillzzUp also makes the professor’s job easy, as they no longer need to spend hours by sending personal feedback to their students via emails. This is a very common practice i.e. in UK. We have started our international sales efforts through Kimmo's personal contacts in the educational world. Testing is about to start in Mexico and Canada and our local contacts are constantly scouting the markets and the local decision makers in their home countries. 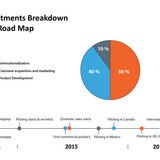 Our next pilot market entries will be in Germany, UK and most likely China by the end of the year. After the market validation and localization of the product we will search for an experienced local distributor in educational sector to sell our product with a license. Also some of the Finnish organizations we have negotiated with are interested to include us in their education export portfolio. 1st of August Finland renewed the educational law and national curriculums that emphasize individual learning, working skills and student’s autonomy in studying. In 2016 the reform will also take place in elementary and high schools. In the domestic market there are 3 628 schools with 1 890 000 students. As our pricing is based on a monthly license fee per student, with total 1,89 million potential users, SkillzzUp will be profitable even with relatively small domestic market share. According to the Finnish National Board of Education in vocational education alone an average of 10% of students drop out due to lack of motivation. The schools loses 11 000 € / dropout in funding from the Ministry of Education. If a regular sized school can prevent even one drop out by using SkillzzUp, the annual investment on license fee is already paid back. The annual cost of dropouts for the Finnish society is around 100 Meur. In some estimates it costs even 1,2 million per each one young person drifting out of the workforce. Keeping this in mind SkillzzUp has a large social and financial impact on the society in addition to better learning results. Our sales strategy in Finland is threefold. First we started direct sales to innovative schools and the aim is to get the first 30-50 schools with 500 students each by the end of the years. By now we have also started our next phase of sales by negotiating with the school district authorities of the bigger cities that can make decision over multiple schools at once. This sales channel is slower than contacting single schools but the volume of potential clients is tenfold. Third sales channel are the big publishers and software providers in educational sector and the first negotiations are already on progress. There is plenty on interest towards new innovative digital solutions among the education sector and the publishers are actively looking for new innovative products and creating sales channels. According to our research most of the players in edutech markets focus either on student management systems (Helmi and Wilma), different learning contents (learning games, online-courses and platforms) or building innovative learning environments (i.e. Rovio Fun Learning). Instead of competing with other educational software SkillzzUp supports individual learning and constant feedback by complementing any teaching methods, applications or IT-systems the school may use. This unique approach makes SkillzzUp in Finland, and possibly even globally, the first of its kind. We believe in what we do. Our mission is to make teacher’s job easier and to help students to recognize and develop their unique potential. By combining the broad pedagogic insight with the latest technology we have created something revolutionary for the educational world – the SkillzzUp. 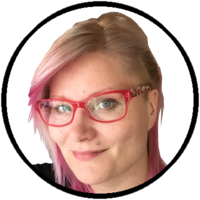 Jani has several years of experience in software architecture and technical program development. He defines the technical needs, makes the backend work like a charm and inspects the quality of the outsourced code. 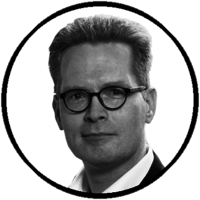 Jarmo has more than 25 years of management level experience in finance, sales, marketing and public and private funding. He is specialized in strategic planning for both domestic and international growth companies. 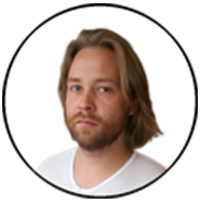 Jarmo has held several key positions in mid-size software and healthcare companies i.e. Optinet Oy, Coronaria/Darwin Oy, Acute FDS Oy, Eye Solutions Oy and NC Investment Oy. 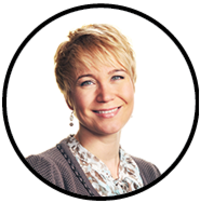 Home › Invest › Invest in Finnish edutech business with SkillzzUp!